After years of trying, The Rod Glove Pro Staff Richard Hough had a successful fishing season. Here is an interview recently done with Richard. Q: How did you get into fishing and at what age? A: At about 10yrs old my Dad took me into a fly in bass fishing tri, Boleau Lake where I caught loads of bass. This fly in camp is known for his large bass and I was hooked ever since. 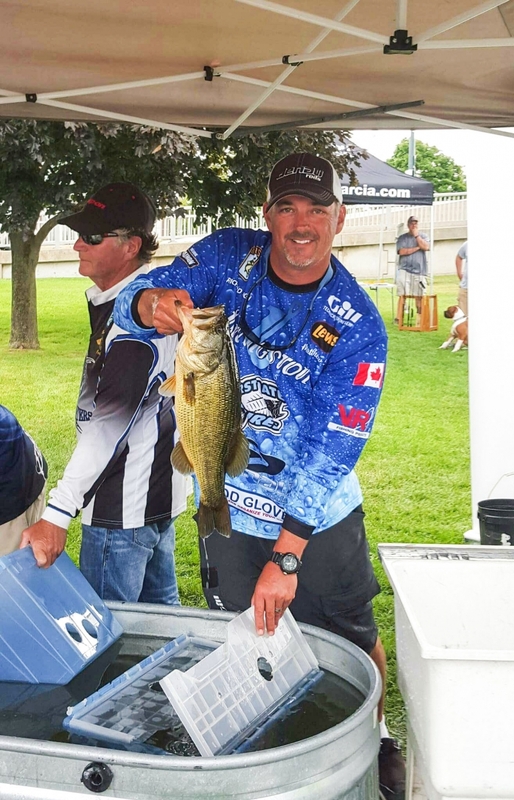 Q: When did you start tournament angling? A: My career has taken me to a few different parts of this great province..some far north and some far south. I fished mostly for walleye in Sioux Lookout but unfortunately did not do much fishing when we moved to the London area. Now that I am now back home near Orillia, I joined the Barrie Bassmasters in 2009. I became the club president of the Barrie Bassmasters for the 2015/2016 season and I fish with the club as an angler. Q: How was your tournament season this year? A: The Hank Gibson BASS Provincial Qualifier was held on the Bay of Quinte on Aug 13-14 and after a few years of trying, I made Team Ontario for 2017. I had a 6 fish limit for non boaters of 19.53 and finished second on the co-angler side. 10 boaters and 10 co's make up the team. I also fished the CSFL Western Series with Matt Torlee, my partner and we made it to the Regional Cup on Stoney Lake in September where we finished the season in 10th place overall. Q: What are your plans for the 2017 season? A: I will be representing Team Ontario in the USA in the Eastern Regionals where we will compete in BASS Eastern Divisionals. I also hope to fish the CSFL Tournament series with my partner and I may participate in the FLW Tournament series now that it is in Canada. In my spare time I enjoy taking my son out to Gloucester Pool..part of the Trent Severn Waterway and a 15 minute drive from our house, where we enjoy fishing. I use The Rod Gloves both as an angler and a co-angler. Not only do they look good, but they keep my rods from tangling and look professional.